Political meritocracy distinguishes China's political system from other non-democratic political systems and is central to the country's success. Yet it continues to be misunderstood by western intellectuals. A response to Stein Ringen. "Colourful communism". Henrik Berger Jørgensen/Flickr. Some rights reserved.I thank Professor Ringen for his beautifully written ode to democracy. I do share his sentiments about democracy, and I hope the political reality in democratic countries can move closer to the ideals he expresses in his essay. But he misrepresents what I say in my book, The China Model. More worrisome, Ringen's complacent political outlook, if widely shared, may inadvertently help to bring about the end of democracy he so eloquently defends. Standing guard at Tiananmen Gate, Beijing. Ken Douglas/Flickr. Some rights reserved.Ringen claims I'm a "political scientist." I confess it's the first time I've been labeled as such. To the extent labels matter, I'm a political theorist and my method is "contextual political theory": I try to provide a coherent and rationally defensible account of the leading political ideas of a society's public culture. Since I've been living and working in mainland China for over a decade, I naturally apply this method to China. The leading political idea in China — widely shared by government officials, reformers, intellectuals, and the people at large — is what I call "vertical democratic meritocracy", meaning democracy at lower levels of government, with the political system becoming progressively more meritocratic at higher levels of government. I argue that this idea has inspired political reform over the last three decades, but there remains a large gap between the ideal and the reality. Hence, my book provides a critical perspective on political reality; it is not a defence of the political status quo. But I argue for change on the basis of ideals widely shared in China, not ideals imported from abroad that do not resonate widely with what people think. Contextual political theory is widely deployed as a method by theorists living and working in western societies: they typically try to provide interpretations of widely shared democratic ideals, which are then used to critically evaluate the political reality. I realize this method is rarely deployed in non-democratic societies, meaning societies that do not even pretend to show that leaders are chosen by the people. In fact, I can't think of a single book length effort by a contemporary political theorist that tries to do so. The main reason that theorists have been reluctant to defend non-democratic political systems, of course, is that the main alternatives to democracy in the twentieth century — Nazism, Soviet-style communism, and Maoism — have imposed untold suffering upon tens of millions of people. Ringen notes that some western intellectuals did attempt to defend those political systems, but their efforts have been rightly consigned to the dustbin of history. To be fair, those theorists did not have a good understanding of the political systems they tried to defend, and they imposed theoretical constructs that did not correspond to what those systems were really about. Ringen claims that my book falls into that earlier tradition of misguided, if not immoral, political thinking. But there is one important difference. Those thinkers were basically shut out from the societies they wrote about: they projected ideals onto opaque and mysterious societies, like North Korea today. To the extent they are guilty of anything, they should have been more cautious and realized it is extremely difficult to access reliable information in closed societies. 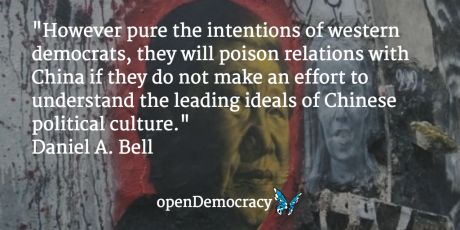 Contemporary China is a different political animal. It is a big complex country, and we all know about censorship and restrictions on civil liberties, and lack of political transparency. But it is possible to access sufficient information to make an informed judgment about the political system and the values underlying it. Anyone who speaks the language, travels within the country and outside, speaks to diverse groups of people (including political leaders at different levels of government), reads widely in Chinese and English, and subscribes to websites and webchat groups with diverse political outlooks can make an effort to provide a plausible interpretation of the society's leading political ideas. It is fine to disagree with my interpretation, but it is not fine to compare my efforts to earlier thinkers who unknowingly defended totally closed political systems ruled by tyrants who murdered tens of millions of people. Method matters because the question of which ideals should be used to evaluate the political reality is a political choice. Ringen doesn't say anything about his own method, but he does provide a stirring defense of democratic ideals that are presumably meant to apply to China. He doesn't show any interest in drawing upon political ideals in China's own political traditions. Here Ringen follows in the footsteps of western thinkers such as John Stuart Mill, Hegel, and even Marx himself. Not coincidentally, such views were most common when western colonialism was at its heyday. Marc Garrido Clotet/Flickr - openDemocracy. Some rights reserved.Today, China is not a colonized country; it is a proud and increasingly powerful country with a rich and diverse political tradition, and its leaders, reformers, intellectuals, and people at large are increasingly turning to tradition for inspiration. Naturally, there is resistance to western thinkers who seek to evaluate China's political reality strictly according to ideals that owe nothing to China's own traditions, just as westerners would resist efforts by Chinese thinkers to evaluate actually-existing democracy in western countries strictly according to, say, Confucian ideals. However pure the intentions of western democrats, they will poison relations with China if they do not make an effort to understand and (to a certain extent) sympathize with the leading ideals of Chinese political culture when they engage with China. Of course, this is easier said than done. I was brought up in the political culture of a western society and it took decades of shocks to my moral system to get me to question the universal value of the democratic commitments I learned as a child. But there is no alternative if we're to live peacefully with a rising China. Vote being cast in Istanbul, Turkey. Sadik Gulec/Shutterstock. All rights reserved.Ringen claims my book is meant to "persuade those of us who are defenders of democracy that we are wrong." 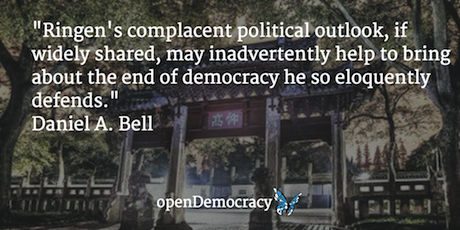 My attempt to "denigrate democracy as such ... turns the book nasty: Bell is an admirer of the Chinese system for whom it is not enough that the friend succeeds, also foes must fail." Ringen is so obsessed with my alleged effort to destroy democracy that the one chapter where democracy is discussed in any length looms so large in his mind it has become "half of the book" (in fact, it's less than one quarter of the book). My aim is not to undermine democracy as such. Quite the opposite: I hope democracy can be improved by drawing on the best meritocratic practices. The introduction says: "I also hope that the book can be read in English-speaking countries to promote better understanding of political meritocracy as an ideal and the Chinese political system as a reality, and perhaps even to inspire meritocratic reform in democratic countries" (p.12). The note elaborates: "In the case of democratic countries, I have in mind reforms of the type suggested in Berggruen and Gardels' book Intelligent Governance for the 21st Century, which are meant to be built on democratic foundations. My aim is not to undermine faith in electoral democracy in countries that have implemented such systems, if only because the practical alternatives tend to be military dictatorship or authoritarian populism." So why do I open with a chapter that discusses four typical problems associated with democratic systems? My aim is simply to suggest that electoral democracy should be compared with its main competitor now – political meritocracy – and to open up the possibility that meritocracy is an alternative that should be taken seriously as a politically feasible and morally desirable possibility, not to argue against democracy per se. Still, it's worth saying something about Ringen's own understanding of democracy. He criticizes the definition of democracy as one person, one vote to choose leaders on the grounds that "the essence of democracy is an arrangement of power: that ultimate political power sits in the hands of the ruled, and not only that: in the hands of the ruled so that no single person or small group can monopolize ultimate power." But Ringen confuses "what democracy is" (a descriptive claim) with "why democracy is a good thing" (a normative claim). As a descriptive claim, I work with a "minimal" definition of electoral democracy as free and fair periodic elections. This definition is widely used in political science circles, and it is also the most commonly used definition of democracy in western media outlets. The question "why democracy is a good thing" is of course an enormously complex question, and answers to that question also bear on the issue of how "minimal" democracy can be supplemented with practices and institutions designed to improve it. But Ringen simplifies the normative question to one overriding good: "The reason we at the end use elections is that citizens thereby deny their leaders uncontrolled power and retain the power to throw them out." I agree that the power to throw out leaders is an important reason to support electoral democracy. But is it the only, or even the most important, reason? Thierry Ahrmann/Flickr - openDemocracy. Some rights reserved.Surely it also matters what democratically elected leaders do with their power? For the sake of argument let us imagine that voters repeatedly elect corrupt rulers of below average intelligence who enact policies that serve a tiny group of rich people, wreck the economy and the environment for future generations, and poison social relations. Would the people then continue to support democracy? It's hard to be optimistic. I hope that day never comes, but if political thinkers celebrate only one feature of democratic regimes and overlook the negative tendencies, they may inadvertently help to bring about the end of democracy. 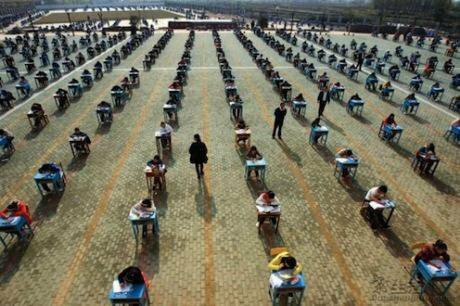 Exams being taken in China. Aslan Media/Flickr. Some rights reserved.Ringen asserts that democracies "are intensely meritocratic" because political leaders who are not lawmakers such as civil servants are selected by meritocratic methods. I agree that many public officials are selected by meritocratic methods in democratic countries, but they are not supposed to be “political” in the sense of exercising power in a wide range of domains. My point is there are few if any meritocratic checks in the selection process of top decision-makers. Stein claims that even lawmakers in democratic systems are put through long competitive processes that "ideally" filter out those not motivated for public service and those not competent, but even “ideally” it is possible for top decision-makers to be elected even without any previous experience in government, and in practice many first class duds have been elected by the people. If it’s a matter of comparing ideals, clearly the method of selecting political leaders in meritocracies via examinations and decades long performance evaluations at lower levels of government has advantages compared to democratic systems that elect leaders in regular competitive elections: only those with an excellent record of past performance at lower levels of government are likely to make it to the highest levels of government, meritocratically selected leaders are less likely to make beginner's mistakes, they can engage in long term planning that considers the interests of future generations without worrying about the next election, and they have more time to think about sensible policies rather than wasting time raising funds and giving the same campaign speech over and over again. 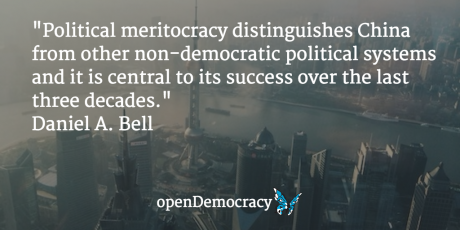 But Ringen claims that political meritocracy is nothing more than a "detail" in China's political system. Political meritocracy may be central to China's history and I marshal extensive evidence to show that the system has been (re)established over the last three decades, but Ringen is committed to the view that the Chinese Communist Party seeks to perfect the power of control. But other "details" — including the workings of the powerful organization department of the CCP that decides on the criteria for the selection and promotion of public officials — are precisely what political thinkers who want to make sense of the Chinese political system should be focused on. 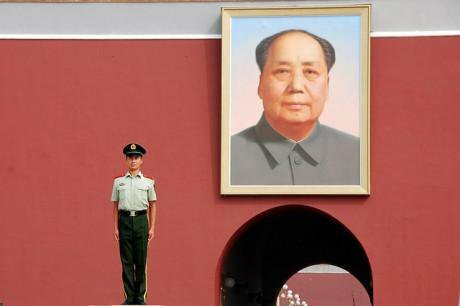 If all that can be said is that the CCP is no different in essence than in Mao's day and that the Chinese political system is similar in nature to that of other autocratic systems, it's not just "details" that will be missing from China's political story. 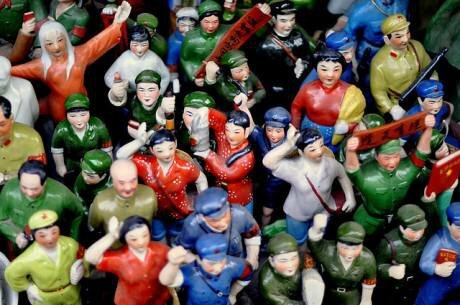 Of course the CCP is not likely to enact political reform that leads to its demise, but the fact it has decided to (re)establish a political meritocracy distinguishes China from other non-democratic political systems and it is central to its success over the last three decades. Ringen's ideological stance leads him to cast doubt on the idea that China's rulers are responsible in any way for China's success. I draw on empirical evidence to show how political meritocracy contributed to China’s poverty reduction miracle: officials were often promoted on the basis of good performance at lower levels of government, and good performance was typically measured by economic growth, and since economic growth is key to reducing poverty, then the incentive system for cadre promotion played an important role in poverty reduction. Land reform and "experimentation under hierarchy" were implemented by public officials selected and promoted at least partly on the basis of economic expertise. Ringen asserts that "the most important criterion by which lower level officials are passed for promotion is their performance in the maintenance of stability." It is true that stability matters, but more in the negative sense that officials are not likely to be promoted if their districts are plagued by instability. But maintenance of political stability is certainly not the only, or the main reason, that explains why they get promoted. The burden of proof should be on those who want to argue (counter-factually) that poverty reduction on this scale could have been possible with a different political system. Ringen does gesture in that direction — "the most impressive poverty alleviation in history is in China's neighbours, South Korea and Taiwan, who have both (1) grown to high-income countries and (2) adopted democracy." But if the standard is numbers of people lifted out of poverty then China's poverty alleviation is far more impressive (South Korea’s population is less than half of that of Guangdong province). Moreover, much of the economic growth in South Korea and Taiwan took place under less-than-democratic conditions and growth has slowed since the advent of democratization. Of course, I do not mean to deny that political meritocracy has serious disadvantages. In chapter three, "What's Wrong with Political Meritocracy", I argue that the most obvious problem is that meritocratically selected rulers are likely to abuse their power, and I propose various ways of limiting the power of rulers short of electoral democracy at the top. I am frankly baffled by the claim that power "merits no analysis" in my book, though I concede that the word "power" should have been included in the index. Ringen attacks yet another straw man when he writes that "the only metric of success in The China Model is economic growth and the resulting reduction of poverty." The reason I discuss poverty reduction at length is because there was a widespread consensus from the late 1970s until recently that it should be the overriding priority of government. But I argue (in chapter two) that the consensus has broken down and show how the standards for judging good performance of public officials are changing to take into account of such factors as environmental sustainability and reduction of gap between rich and poor. I also argue (in chapters three and four) that China will need to become a more open society, with more freedoms of speech and association, short of electoral democracy for top leaders. It remains to be seen whether the system of vertical democratic meritocracy will succeed in its efforts at further reform, but Ringen does not provide any reasons for thinking that it can't. Unsplash - openDemocracy. Some rights reserved.Ringen claims "an advantage of democratic theory is that it offers a metric of successful governance. That starts with the individual and with his or her interests or rights. The purpose and responsibility of government is to give individuals protection and to improve their life chances." But political meritocracies can also offer a metric of successful governance, though the metric may be different in the Chinese case due to its different political culture: in the online appendix two of my book, I show how the value of harmony can serve as a useful matrix of good government in China's political future. But Ringen shows no interest in ideas that come from the Chinese context. 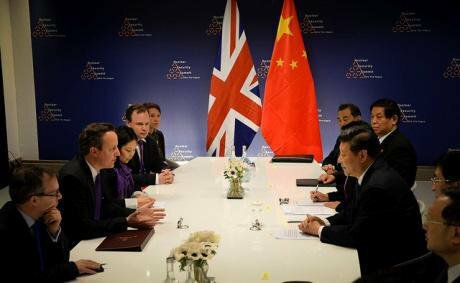 Bilateral meeting between the Prime Minister of the UK and the President of China. Number 10/Flickr. Some rights reserved.I wrote such a long response because Ringen’s review is misleading and I needed the space to clarify my own intentions and arguments. But there is a deeper political worry: he espouses the sorts of views that reduce the likelihood of what I consider to be a desirable political future. Here is my hope for the political future. 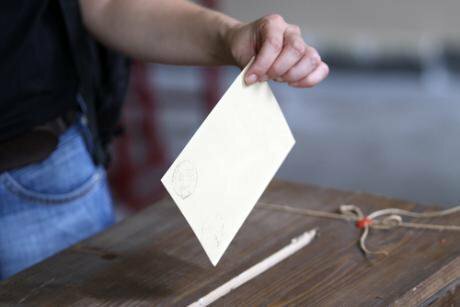 Democracies use elections to select rulers at all levels of government, and meritocracies select rulers at higher levels of government by means of examinations and decades long training. Both political systems compete with each other to do the things governments are supposed to do: serve the people, including all those affected by the policies of government. Democracies aim to perfect their democratic system while learning from the best of meritocratic practices, and meritocracies aim to perfect their meritocratic system while learning from the best of democratic practices. Both political systems recognize each other as morally legitimate even though they are built on different foundations, and they strive to cooperate in areas of common concerns. Diversity of values is a good thing, and surely we’d all be better off with a diversity of morally legitimate political systems that compete with each other to do good things. Unsplash - openDemocracy. Some rights reserved.But I worry about more pessimistic scenarios, and I worry more about the long-term fate of democratic systems. China is a learning culture, and its leaders constantly seek to innovate and learn from the rest of the political world. 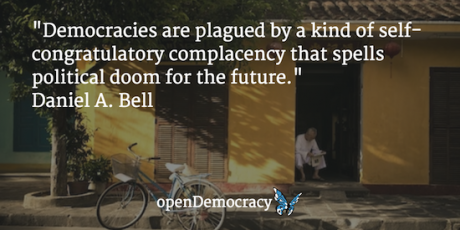 But democracies are plagued by a kind of self-congratulatory complacency that spells political doom for the future. Even highly intelligent and sophisticated political thinkers such as Professor Ringen succumb to this tendency. If Chinese-style political meritocracy continues to innovate and reform, while democracies do nothing more than rest on their laurels and cast aspersion on political alternatives, democracies will eventually lose their hold on people's "hearts and minds" and political meritocracy will become the globally dominant political system. Perhaps one hundred years from now, it will seem blindingly obvious that top political leaders should be selected by means of examinations and performance evaluations at lower levels of government, and we will wonder how it is that human beings ever came to think that one person, one vote was the only legitimate way of selecting political leaders.